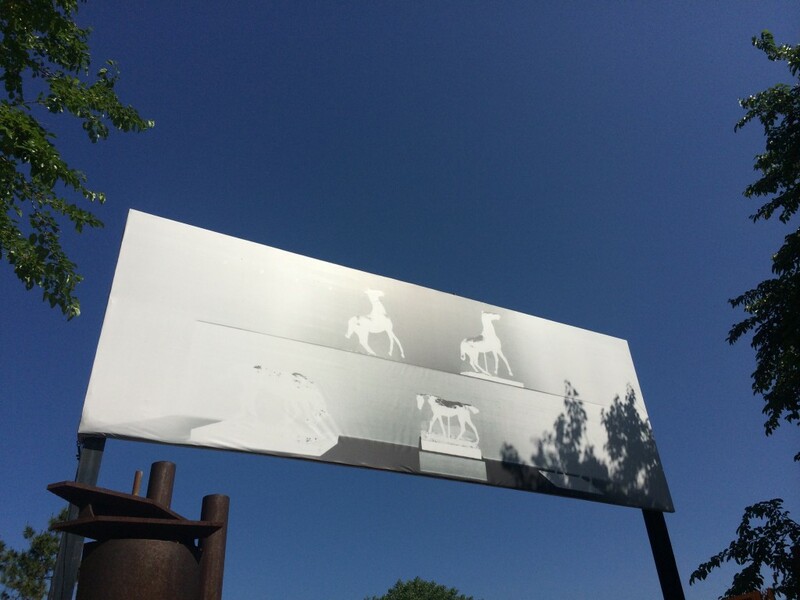 Degas Horses by artist Vera Lutter is the newest installment of the park’s ongoing “Broadway Billboard” series, through which Socrates Sculpture Park commissions artists to create a billboard image that spans the main entrance of the park and offers a unique platform for exhibiting two-dimensional media. 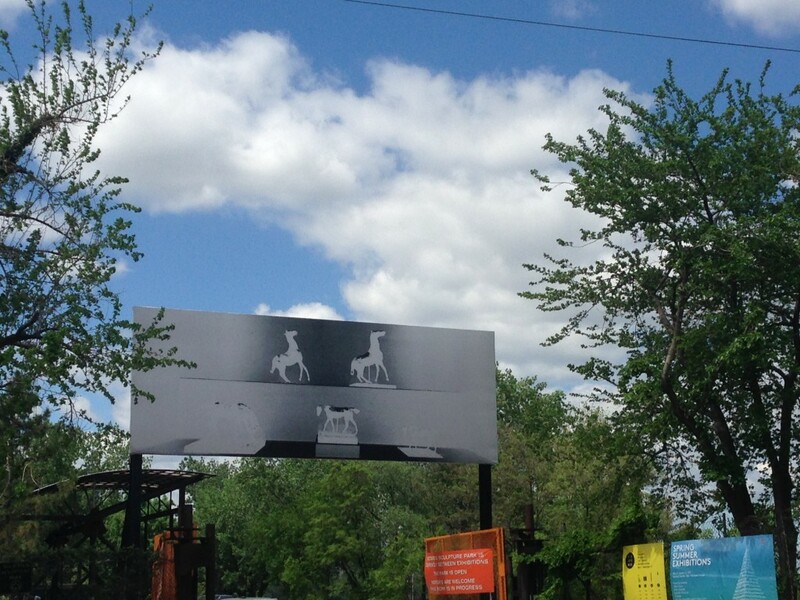 At least twice annually (spring and fall), Socrates installs a new work on the 11′ x 28′ billboard, which can be seen nearly a mile away on Broadway in Long Island City. Internationally acclaimed photographer Vera Lutter creates ghostly images of subjects as varied as urban centers, abandoned factories, ancient monuments, and natural forests. Like much of her work, Degas Horses was taken using a “camera obscura” — a centuries-old optical device that uses light entering through a small hole into a darkened chamber to slowly capture an image of its subject. 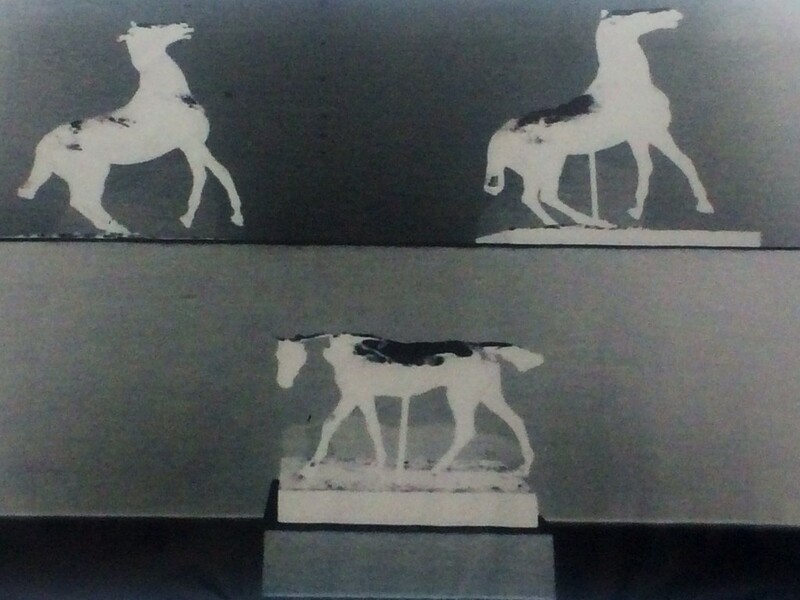 In late October 2014, Lutter spent two days on the ground floor of The National Gallery of Art in Washington, D.C. using her portable pinhole camera to capture the museum’s display of Edgar Degas’ 19th century cast horse sculptures. 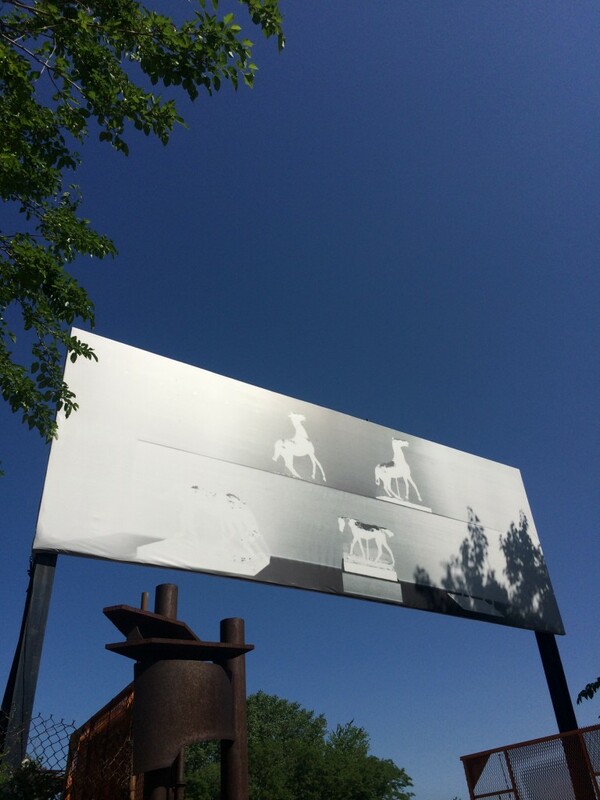 Lutter’s resulting image, presented for the first time at Socrates Sculpture Park, captures the physical evidence of Degas’ sculptures in the negative, where the solid horses float peacefully against the shadows of their museum vitrine. 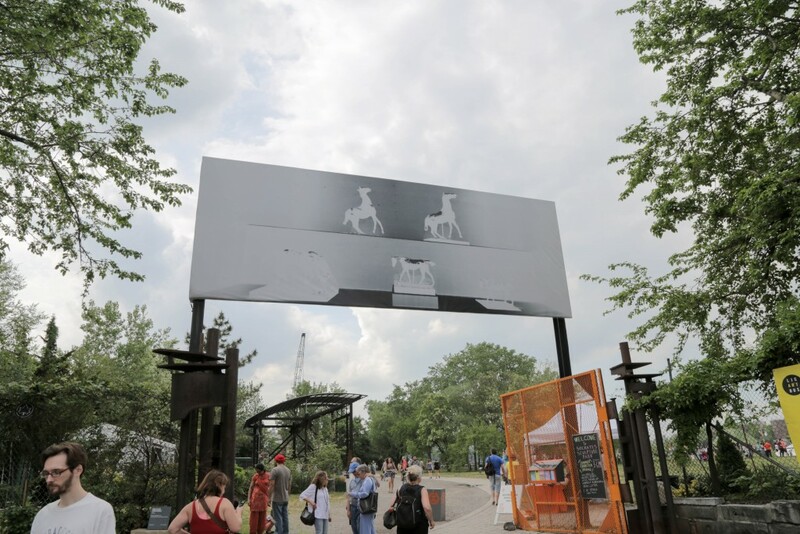 Located at the main entrance of the park, Degas Horses is part of Socrates Sculpture Park’s Broadway Billboard series, courtesy of the Artist and Gagosian Gallery. After studying at the Academy of Fine Arts in Munich and receiving a diploma in 1991, Vera Lutter moved to New York and studied at School of Visual Art’s Photography and Related Media program where she received an MFA in 1995. Inspired by the city’s presence, light, and architecture, Lutter began experimenting with photography. In order to capture an immediate and direct imprint of her experience, Lutter decided to turn the room in which she lived into a large pinhole camera—thereby transforming the space that contained her personal experience into the apparatus that would capture an image of it. Through a simple pinhole instead of an optically carved lens, the outside world flooded the interior of the room and projected an inverted image onto the opposite wall. Exposing directly onto wall-size sheets of photographic paper, the artist achieved large-scale black and white images. Maintaining her concept of directness and least possible alteration, Lutter decided to retain the negative image and refrain from multiplication or reproduction. New York remains Vera Lutter’s home since 1993 and a returning subject in her work, yet she soon started working internationally employing the technique of the camera obscura, or pinhole camera, in projects around the world where she photographically rendered architecture, shipyards, airports, and abandoned factories, focusing on industrial sites that pertain to transportation and fabrication. Lutter’s images are included in several public collections including Metropolitan Museum of Art, New York; Museum of Modern Art, New York; Whitney Museum of American Art, New York; Neue Galerie, New York; Museum of Fine Arts, Houston; and San Francisco Museum of Modern Art. Major solo exhibitions include Dia Center for the Arts, New York (1999); Kunsthalle Basel (2001); Museum of Contemporary Photography, Chicago (2002); Kunsthaus Graz, Austria (2004); Modern Art Museum of Fort Worth (2005); Fondation Beyeler, Basel (2008); and Carré d’art Musée d’Art contemporain, Nimes (2012). Her work has been recognized by many periodicals including Artforum, ARTNews, Art in America, BOMB, and The New York Times; as well as books including 100 Contemporary Artists (Taschen), The Photograph as Contemporary Art (Thames & Hudson), and Vitamin Ph: New Perspectives in Photography (Phaidon). Lutter had the honor of receiving the Pollock-Krasner Foundation Grant in 2002, a John Simon Guggenheim Memorial Foundation Fellowship in 2001, and the Deutscher Akademischer Austausch Dienst (DAAD) Grant in 1993. The park’s 2015 Exhibition Program is supported, in part, with generous funding from Bloomberg Philanthropies, Charina Foundation, Mark di Suvero, Sidney E. Frank Foundation, Maxine and Stuart Frankel Foundation for Art, Jerome Foundation, Agnes Gund, Lambent Foundation, Ronay and Richard Menschel, Ivana Mestrovic, The New York Community Trust, Plant Specialists, the David Rockefeller Fund, Shelley and Donald Rubin, Mr. and Mrs. Thomas W. Smith, Spacetime C. C.; and contributions from our Board of Directors. These programs are also funded, in part, by public funds from the New York State Council on the Arts, with the support of Governor Andrew Cuomo, and the New York State Legislature and the New York City Department of Cultural Affairs, in partnership with the City Council.